Home › Science Philosophy and History › The World is Coming to an End! . . . Says . 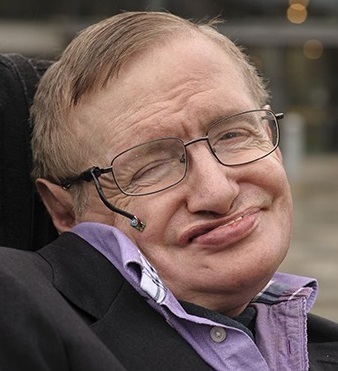 . . Stephen Hawking?!? Okay, this isn’t exactly late-breaking news, but it’s too good to pass up! Christians have been predicting the end of the world for, oh, about 2,000 years now. Science fiction writers have been creating doomsday scenarios for over a century. Scientists respond that these things just aren’t going to happen. The world is going to keep turning for several billion years to come, they say, and the universe will last even longer. So I couldn’t help but chuckle when I heard that Stephen Hawking, one of the most famous scientists in the world, has his own doomsday scenario. And he says it could come at any time, with no warning. The “God particle” could destroy the universe! Evangelical Christians think that God is going to destroy heaven and earth, and create new ones in their place. It’s going to happen any day now! Serious scientists would never believe such a ridiculous thing. Nope. For physicists, it’s not God, but the God particle that could destroy the universe any day now! Okay, okay, scientists don’t like the name “God particle.” They prefer to call it the Higgs boson. Stephen Hawking bet fellow physicist Gordon Kane $100 that the Higgs boson didn’t exist. And in a book of his lectures published about a year ago, titled Starmus, he got his revenge: The Higgs field, which is associated with the Higgs boson, could destroy the universe! So you can keep your hundred bucks, Gordon Kane! In other words, it’s possible that the field associated with this recently discovered particle could suddenly start wiping out all matter in a bubble that would expand so fast that there would be no warning. Suddenly our world and everything in it would just vanish into nothingness. Now, before you sell everything and buy a fancy red sports car so that you can go out with a bang, not every scientist agrees that the universe might vanish at any instant. Even Stephen Hawking thinks that if it does happen, it’s not likely to happen for billions and billions of years. Other scientists don’t think it will happen at all. The conditions that could produce such an event, they say, existed in the early universe. Yet here we are! And, they say, there are events taking place all around the universe right now that could have triggered such an event. Yet here we are! Many scientists believe that it won’t happen because there are forces and phenomena that we still don’t fully understand that are keeping the universe stable. Perhaps it’s that mysterious dark matter. Perhaps it’s antimatter. Or perhaps it’s something else that we haven’t even discovered yet. But if the universe has managed to remain stable for this long, they reason, it’s likely that something is holding it all together, and that it’s not likely to go Pop! now or in the future. So keep your day job, don’t run to the storm shelter, and don’t cash in your stocks and bonds just yet. It seems that this world of ours is a tough old beast, and isn’t going away any time soon. 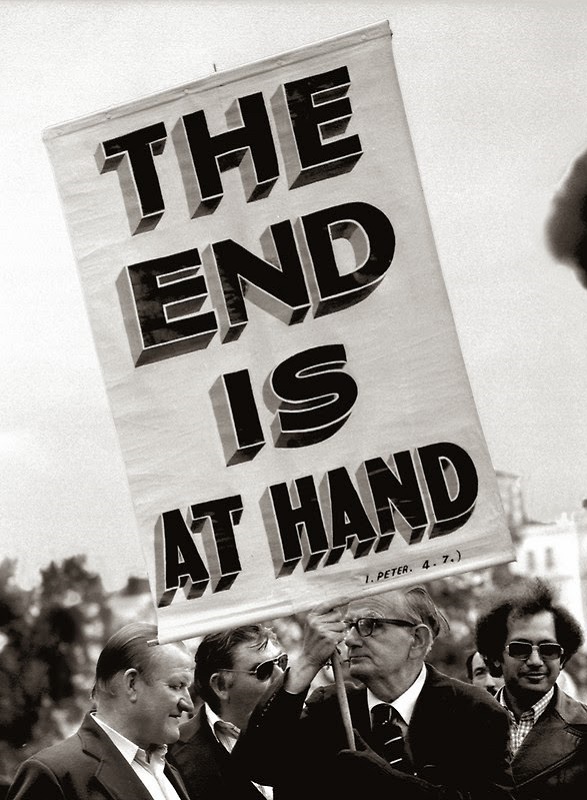 And what about those Christians who say the world is coming to an end? I wouldn’t listen to them, either. ‹ What is the biblical basis against Sola Fide (salvation by faith alone, apart from works)? It’s heartwarming to read your blog. Your perspective on things is refreshingly thoughtful. I don’t wish to be rude, but I’ve never had good expectations from religious folks with regards to logic and reason. In my own homeland, god-men are often the furthest from god really. Hence my prejudices have always got the best of me in all matters religious. But after reading your blog, I’ve experienced great solace. I feel happy to have met a sensible and enlightened mind as yourself. This blog certainly reaffirmed my faith in humanity. As far as my own religious views are concerned, I’m not so sure where to really affirm. I can be called an agnostic, or rather somebody in dilemma. I simply can’t believe the fairy tales of our ancient texts, yet I do respect their tennets of virtues (not those that we clearly know to be gender biased though). I have a troubled mind really. With pressures to perform academically and excel in life, along with other family and worrying health concerns (despite the fact that I endeavour to remain physically active), I’m often pushed to the extremes at times. With so much disparity in circumstances, wealth and efforts over output of those around me and myself, I’m inclined to not believe in someone who’s out there looking over everyone. Otherwise, how would he answer to all the tribulations I’ve had to endure and of those who’ve experienced even worse? I’m a strong believer in compassion though. I trust that people can be their best if loved in the same light as we would convey to perhaps someone dear to us. But I’m really troubled by many worldly concerns as the ‘unfairness’ of beauty (I read your blog, infact it was that very post that brought me here. Certainly happy to have stumbled upon it), of physical health that people take for granted while others really struggle with and how attraction is such a superficial affair really. Also, I usually have a hard time dealing with abrasive/hurtful behaviour from others. I may not get disturbed, but they all do remain in my mind all the same. That is one of my weaknesses that I’ve been trying to understand. I do believe spirituality is a ‘fair’ experience. It’s depth is purely a product of one’s own willingness to delve deeper. But I struggle to attain it. I wish for a calm and focused mind, a strong will and success in my actions. I have practised them to a great degree in my life. But now, I wish to attain them in absolute totality. Can you help me out please? And thank you for the blog. I appreciate your thoughts and insights into life. Thanks for your thoughtful comments, and your kind words. I am glad that my thoughts expressed here have given you some solace, and perhaps even hope for the spiritual side of humanity. I do aim to provide a more sensible, rational, and spiritual view of religion and life than is found in much of organized religion today, across the many different faiths of the world. I do believe that God is reaching out to us through the various religions (see If there’s One God, Why All the Different Religions?). Unfortunately, we confused humans have made an awful mess of a lot of what God has said to us. Though I do think a belief in a loving, wise, and powerful God is very helpful to our life as human beings in this world, I have come to think that even for those who don’t believe in God, or aren’t sure whether there is or isn’t a God, a belief in love, wisdom, and the power of kindness to others is a kind of belief in God because it is a belief in the qualities of God. (See: Do Atheists Go to Heaven?) So I would encourage you to hold onto your love for human compassion, dignity, equality, and all the other virtues of human life, while keeping your mind open to the possibility that there is a God who is the origin of everything good, true, and loving that we experience and express to one another. As for attaining calm, focus, strength of will, and success in all totality . . . well, that is a wonderful goal because it is one that we can always strive for, and continually work for. Another way of saying this is that we will never achieve the absolute totality of things, because that exists only in the mind and heart of God. And yet, we can always be traveling toward that totality, and attaining more and more of it in our lives. Yet another way of saying this is that life is a journey that continues as long as we have life—which I believe is forever. We can achieve many good and wonderful things. And yet, there will always be further to go, and more to achieve. Even when material desires and achievements lose their appeal, there are infinite spiritual achievements that still await us. And by that I mean achievements of mutual love and understanding, insight and inspiration, learning and growing as human beings in community with one another. So if you find that you have not achieved everything you envision, don’t consider that a lack or a failure. Consider it a challenge and a call to continually move forward in the best directions that your mind can conceive. And as you make that journey, you will find many joys and satisfactions along the way that will refresh your mind and heart and keep you moving forward. And yes, there will be many struggles and challenges, and even pain and heartbreak. These are the things that test and refine our souls, and bring us face to face with the ultimate questions of life. They are the times in which we make the deep and difficult choices that turn us in one direction or the other, upward toward the light or down toward the darkness, depending on whether we hold on to hope and goodness, or let despair and darkness overtake us. And they are the times we are at our most human. If we are able to face them and ride them through, we gain greater depth, compassion, and understanding both for ourselves and for our fellow human beings. For more on why God allows such things to happen to us, see: If God is Love, Why all the Pain and Suffering? If you have further questions, I invite you to search the site for articles that may help, or to leave further comments and questions. You have your whole life ahead of you. And you are clearly a thoughtful and heartfelt person. I do think you will do good things with your life, even if you do have to face your share of struggle and doubt. That’s simply part of the human condition here on earth. Reading 2 Peter 3 refers to the worlds ends, as it is burn barren upon Gods final judgement: by fire. Two examples of “judgement” prior are used as examples, Noah, how the world was destroyed by water…the next was Lot and Sodoms destruction by fire and brimstone. Each time the believer and their families escaped Gods wrath. Likewise prior earth being destroyed, Believers will be taken up into the “clouds” to meet Christ in the air. For more on this in relation to a future Judgment Day, please see my article: Is the World Coming to an End? What about the Second Coming? Lee thank you for responding… I do understand certain stories set in the scriptures that exemplify greater spiritual meaning – but in 2 Peter 3, he gives us historic “literal” examples of previous judgements of God. So this logically (and spiritually) tells us that this is not metaphoric nor a parable. That it is prophetic and will come to pass, as explained by the Holy Spirit through Peter. Again, the reference to earlier judgements are given literally to reinforce this prophesy.